A church in Kirkland, Washington filed a federal lawsuit against the state over a new law that requires insurance plans to cover abortion if they also cover maternity leave. 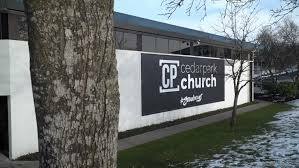 Alliance Defending Freedom (ADF) filed the suit earlier this month on behalf of Cedar Park Assembly of God. The law, SB 6219, passed the Democratic-controlled Washington legislature last year and was signed by Democratic Gov. Jay Inslee. Planned Parenthood and NARAL Pro-Choice Washington helped draft the bill before it was signed, according to the lawsuit. The Cedar Park Assembly of God runs a Christian school and childcare program. It has 185 employees. The church said it chose a group health insurance plan as the best way to save money on health care. The insurance plan includes maternity leave. Switching to a self-insured model would mean more than $240,000 in additional costs, according to the lawsuit. The Washington State Catholic Conference expressed concern over the bill’s lack of religious exemptions before it passed last year, according to ChristianHeadlines.com report. The bill’s sponsor, Democrat state Sen. Steve Hobbs, declined to change it, saying employers had the option of suing. “Health care is about the individual, not about them,” Hobbs told KOMO radio.